View topic - Mysterious case. WD30EZRS-00J99B0 won't spin up. Mysterious case. WD30EZRS-00J99B0 won't spin up. Post subject: Mysterious case. WD30EZRS-00J99B0 won't spin up. 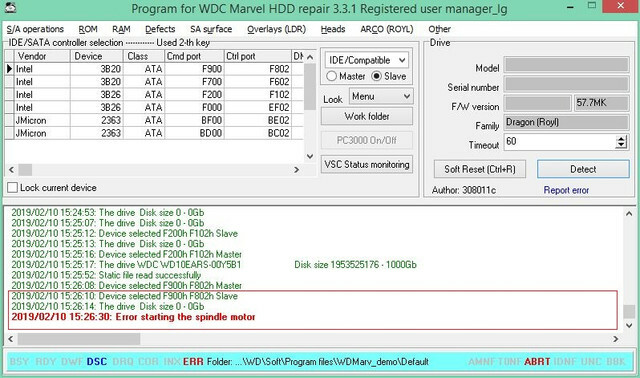 WD30EZRS-00J99B0 Dragon 57.7MK, Pcb 771698-002 Rev A. won't spin up, detects in safe mode in WDMarvel. At first I thought it might have been either the PCB, ROM or motor problem. So I swapped the PCB to compatible one (taken from Sadle G6) without writing the native ROM on it just to make sure the motor is ok. The drive DID spin up without any strange noise and tried to calibrate (unsuccessfully, of course). So I read the native ROM dump using WDMarvel and wrote it on donor PCB. The drive didn't spin up after powering up. Then I thought the native ROM dump might have been corrupted and examined it with Fzabkar's Wdromv11 tool. The tool didn't found any corruption! 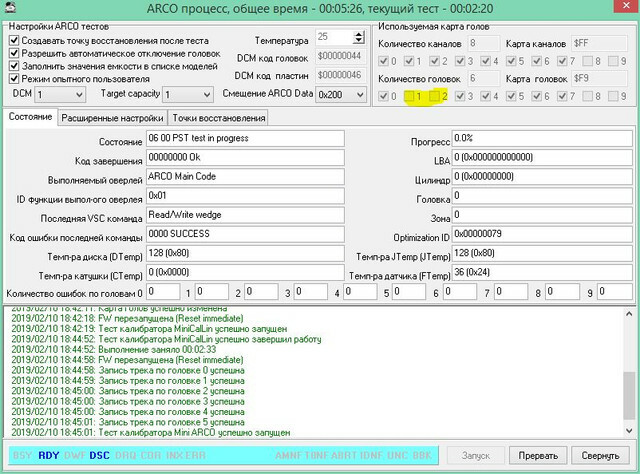 Then I started to write different Dragon ROM versions (Pcb 771698-002 compatible versions and not) on donor PCB. Guess what? No spinning... But if I write Sadle G6 ROM - it does spin up! Post subject: Re: Mysterious case. WD30EZRS-00J99B0 won't spin up. What will happen if you issue spin_UP command to the drive? Thnx for the reply bro. Nothing happens. I can now confirm that Dragon won't spin up if it detects a bad head (heads). After disabling 1st and 2nd heads the drive spun up and I managed to run ARCO sequence. I forgot to mention, this is not a data recovery case. The firmware could test the head resistance without spinning up the drive. Seagate's terminal has a command for doing just that. I've had 4 of these issues over the last year. Definitely the heads in my experience. Loaded head(s) from crash / contamination.